After you was in the army you get a gun for taking it at home. So the mobilization of the army is very fast and can go in undergroud if required. I see memes about the gun culture of Switzerland, but I’ve heard that they don’t actually have us much firearms Freedom as we do in the United States. What’s the reality? Hi all! Viva la libertà! I have been often in Switzerland and it is true that Swiss people like freedom much more as people in Germany do. So if you know Eidgenossen who like to join my startup in Berlin as co-founder please tell them this link: http://www.passende-leute.de. Mercy! 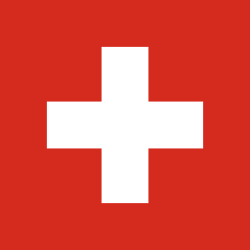 I want to become a Swiss citizen someday! Sure was. And it was rather pathetic to see Wegelin, an institution founded in 1741, decades before the United States, just crumble. Competition among the cantons seems to be the main thing keeping Switzerland from becoming an EU-style basket case. Yeah, that was definitely a sad moment. But not all that surprising. UBS and Credit Suisse both have a lot of business in the US, and they were threatened with loosing their banking license, as well as prosecution of their employees. Welcome, Swiss friends of liberty. What do you think of the state of liberty in Switzerland? I have only lived here a little less than a year, but to me, it seems that Switzerland is one of the free-est countries in western europe, but sadly seems to become less free with time, like everywhere else. Hoping to find some like-minded friends in Switzerland.